* Classic Patchouli starts off with a subtle earthy patchouli and a taste of bergamot. * Less than three minutes later, the bergamot is gone and you’ve got a chocolate-y sweet patchouli that projects like a monster. * The patchouli is neither dirty nor hippie, but definitely earthy. Summary: Classic Patchouli is a wonderful patchouli scent. I can’t say that it is groundbreaking or unlike anything I have ever smelled before, but it is quite good at what it sets out to be – a classic, enduring patchouli scent. It lasts a long time on my skin – more than twelve hours and it projects, LOUDLY, for the first hour or so. It also feels very warm and comforting, almost a snuggly feeling- like a nice blanket you want to cuddle with on a cold day. If you don’t already have a “comfort patchouli” scent in your scent wardrobe, here is one worth checking out. Von Eusersdorff fragrances are available at select boutiques. Disclaimer: Sample provided by manufacturer. Image courtesy of Von Eusersdorff. 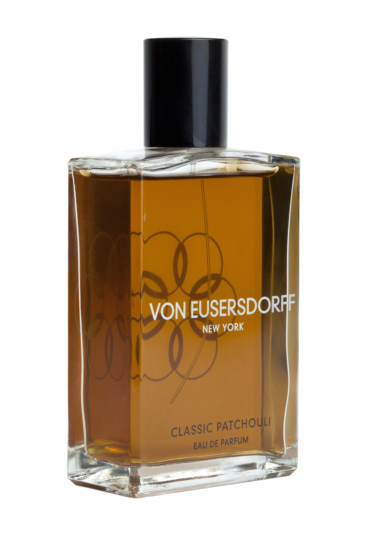 inspiratie: indian summer with this classic black patchouli von eusersdorff ,love it ! Is this stuff delicious? In a weird way, I want to eat it.